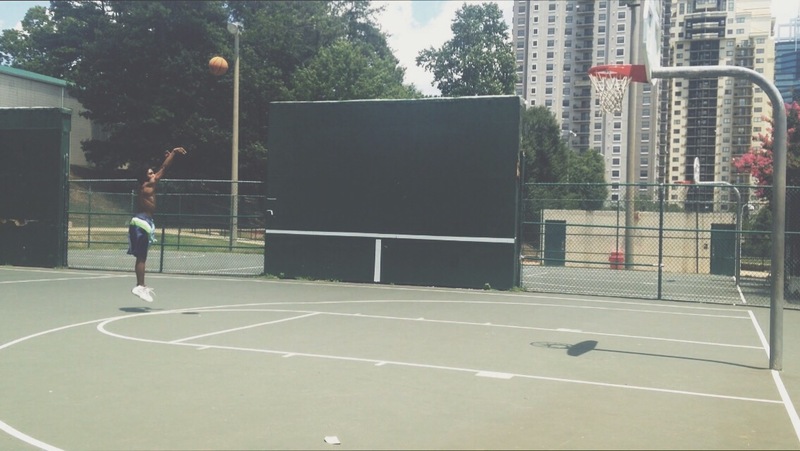 Lets start this off with … I highly dislike running outside of playing basketball. For some reason….I have been compelled to confront this task of running and it has been surprisingly fun and challenging! I wanted to challenge myself for 30 days, possibly more. I will run (almost) every morning for the next 30 days for atleast 2 – 5 miles. Where …. at the moment it is kinda hot outside so running directly to the pool/river/waterfall is more motivation than I can ask for. This “mission” will also give me a chance to actually blog instead of re posting articles around ze interwebs, which I think this site has been slacking on. Shoes …. 1 out of 3 pairs of kicks that I have happen to be these beat up Pumas that are for running and they feel good enough to me. On the first day I noticed a few people doing strange things along the path that I run. Pokemon Go (yes somehow it has creeped its way into this article as well) has people wandering in the trails with their phones looking for who knows what. I found watching them amusing as I ran past. 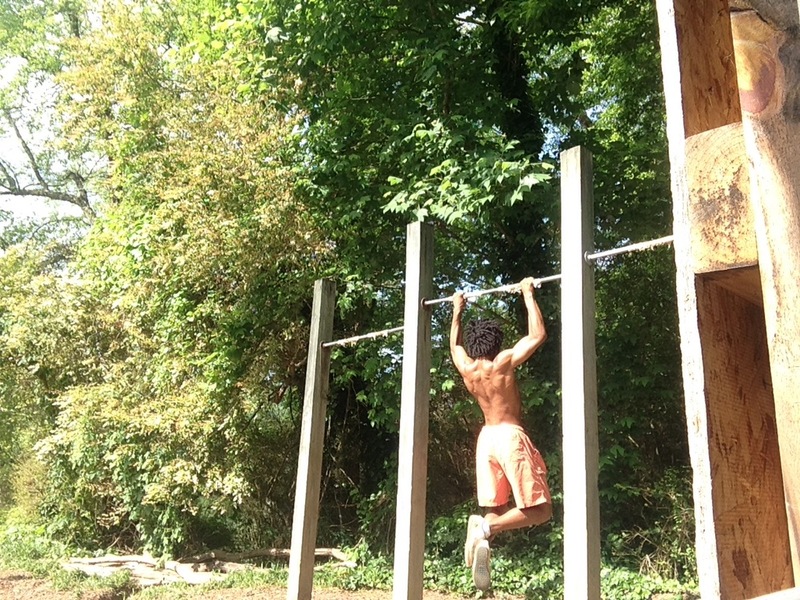 I usually start off the run with 3 sets of pull ups to get the blood flowing. 2.6 Mile Route I Created Using PlotARoute.com Awesome for planning a run! The best motivation for a run! A cool body of water to get in! After a nice run Im usually drenched in sweat so i’m sure you can imagine how amazing this feels. The cold water always changes my breathing rate and i’m forced to open my mouth. For me this is the reward to running myself out of breath for 20 minutes. I usually take this moment to do some yoga and stretch up my hips and thighs. The unevenness of the rocks makes it a bit difficult to enjoy a full session but it works. If i close my eyes and listen to the sound of the waterfall its easy to forget where Im sitting exactly. It may feel like i’m on the left side. It reminds me of a practice of attempting to recall what you see around you while your eyes are closed. After I leave the waterfall I begin running back to where I came. It usually feels like I have more energy than when I first began the run. I take a different path back one that involves a bit more running and jumping over stuff as well as crossing over the river. Getting ready … but not really. Today I feel like running but not really 😀 It could be the plum wine from yesterday creating resistance or the sound of the insects letting me know its hot outside… really hot. Im typing this and deciding at the same time…..
11:00 am and its time to run! 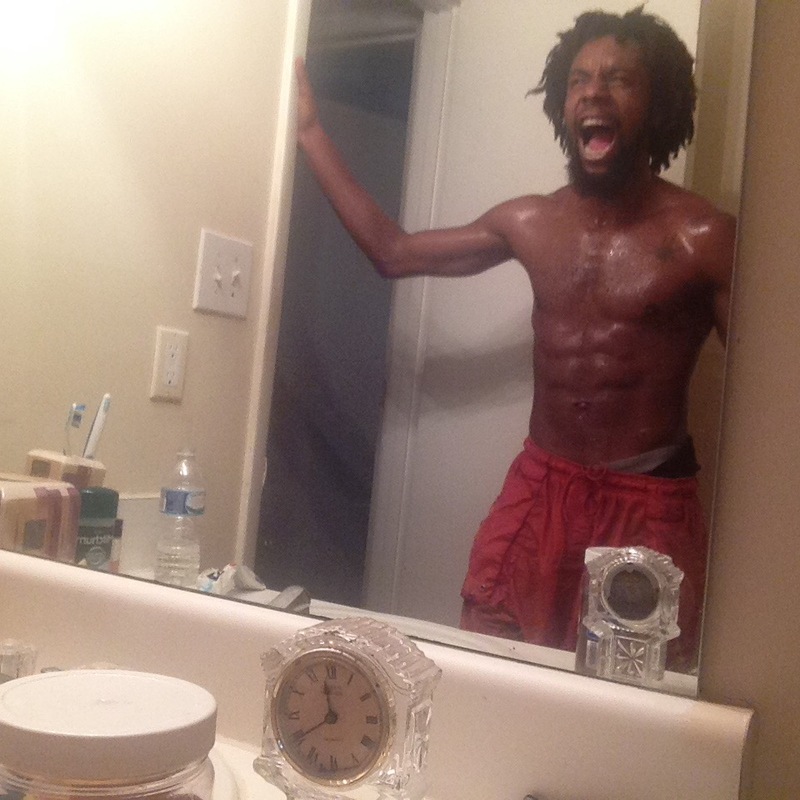 I CAME I RAN I CONQUERRRRRED!!!!! Just how I feel at the moment! I realized the first two days I was not pacing myself enough. I wasn’t full out sprinting but still getting winded once I hit the uphill sections. Today I set it in my mind to keep a steady pace and feel out when I’m losing hold of my breathing. It feels like when I run at a quicker pace the demand for air is higher and eventually I have to walk to catch up with my breath but when I’m at a steady smooth flow there are moments I can feel my breath catching up to me even though i’m still jogging/running at a decent pace. This made a HUUUUGE difference, so much that I took a detour to run more. Hilarious right … I felt like I didn’t run enough by the time I made it to the last stretch before the water! At the( 4) mark I usually take that right and stop by the waterfall (B) but I instead took a left and ran another loop (3) making my way back around to the 4 mark (photo below). I sat and rinsed off as usual and found a nice hot rock to lay down and do a few stretches on. There was a older woman with grey hair and a brown dog on a leash that was swimming in the water. The dog seemed more interested in staying out of the water and on the rocks. For the journey back I decided to take the same path simply because I was aiming for a certain mileage and I didn’t feel like crossing the river and climbing a mountain (literally) to take the more physically demanding “shortcut”. Returning back on the same path looks completely different in the opposite direction. I almost took the wrong turn but someone familiar helped me get back to the path. I saw the same person I initially saw when I made it to the trail. The first time I saw him he was sitting on the bench at the entrance of the trail I acknowledged him and the dog with a hand wave and smile. This time, he was with a group of older friends walking to the exit and when he looked back to see me running still (2 hours later) .. He said “There he is”… ” You have to stop running cmon take a break ” I responded reaching down to pet his dog still in motion … “Not yet” I overheard them saying “your making us look slow, he’s young and its almost like walking to him” All wonderful vibes and motivation for me to keep going! I’ve made it back in .. No rest stops and its time to EAAAATTTT! Pasta is on the menu for now! Mushrooms, Butternut Squash and Garlic but first Mangoes! Safe to say I’m going to be testing myself in a race this year or early next. I just learned what the 5k and 10k marathons .. no looking back now! Soon I will start bringing my phone so I can have some fresh photos of these encounters. At the moment I rather focus on and just enjoy the pleasure of running versus sharing the experience visually.